With the election unofficially ending at 50.1-49.3 percent (0.6% percent in Balderson’s favor), the prediction obviously slightly underestimated the Republican nominee’s support base, while similarly over-emphasized the Democratic vote. In order for O’Connor to win, and these numbers will be similar for the impending November election between the two, a huge vote spread was/is needed in Franklin County. According to the Jarman projection, the Democratic margin needed to be 63 percent if Balderson drew 32 percent. Tuesday night’s vote percentages were 65.0–35.6 percent, slightly above both the Democratic and Republican benchmarks, but with almost the exact 31-point predicted spread between the two. Turning to the most Republican counties — Morrow and Marion — O’Connor needed to pull 29 and 30 percent, respectively, assuming Balderson scored 67 and 66 percent. 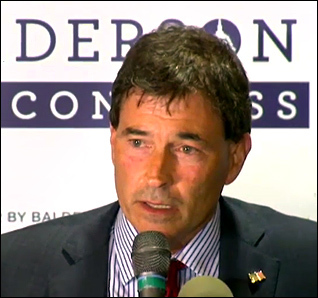 In actuality, Balderson’s margins were 70-29 and 68-31 percent. Therefore, Balderson ran slightly ahead of projection as did O’Connor. 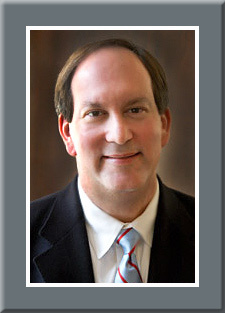 In three important similar counties, adjacent Licking and Muskingum and Richland in the northern part of the district, O’Connor needed to record 39 percent in each place while holding to Balderson to 56 percent. The Republican ran considerably ahead in Licking while the Democrat was slightly behind: 61-38 percent. Both candidates ran slightly ahead of projection in Richland (59-40 percent), while Balderson moved well ahead in Muskingum: 66-33 percent. Thus, the election would come down to marginal Delaware County, situated just north of Franklin. O’Connor would need to score much better here than Hillary Clinton did in 2016, and reach 45 percent of the vote while holding Balderson to 50 percent. But, while O’Connor hit 46 percent, Balderson almost touched 54 percent, which ultimately allowed him to claim victory. The Daily Kos prediction was interesting and allowed for better monitoring of the election returns. While it was clear that O’Connor reached his vote goal in dominant Franklin County, the rural areas proved to be what saved Balderson. Based upon typical midterm turnout predictions for the fall, they likely will be again.